McCulloch Universal PRO009 Gloves 12"
The PRO009 gloves are a must-have for any keen gardener. They keep your hands protected and feature a shaped, reinforced leather palm and a water-repellent polyester back. 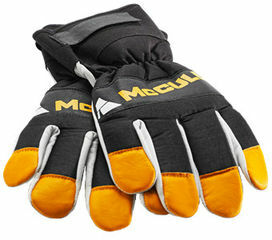 McCulloch Universal McCulloch Universal PRO009 Gloves 12 XXL McCulloch Universal PRO009 Gloves 12"